For more detailed information and instructions, click here. Please register by Thursday, April 25. There will be parking in the McCauley Deck beneath the FedEx Global Education Center. A monitor will be there to let in our Economics Ceremony guests. Parking is free. No permit is required. Accessible parking is available along South Road (state-issued permit required). Sorry – we do NOT provide accessibility parking permits for our ceremony. 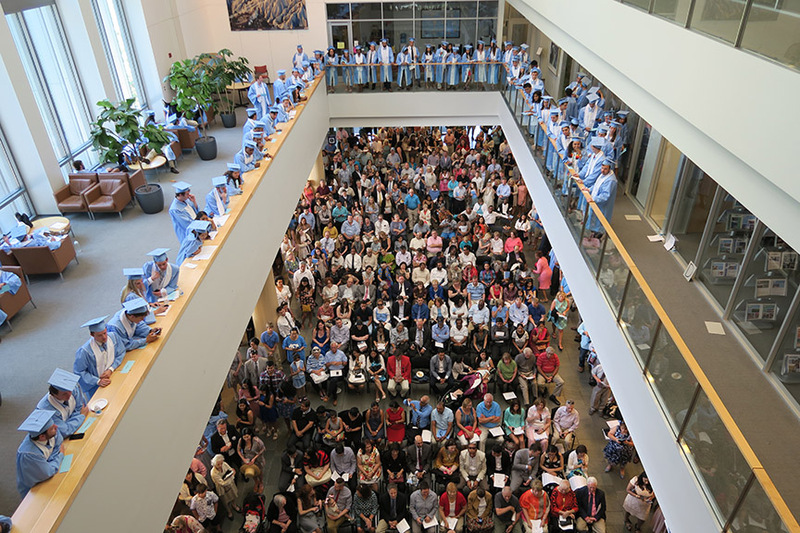 For the UNC Kenan Commencement Ceremony please contact the Office of Disability Services. They have parking permits available for the main ceremony. FedEx Global Education Center has an elevator from the parking garage under the building (ground level) to the location of our ceremony. Please note that we do not provide wheelchairs. Graduating seniors MUST register if you play to attend the ceremony so that we have a certificate for you. Each senior’s name will be called, you will walk across the stage and you will receive a Certificate of Congratulations from our Economics Chair, Dr. Andy Yates. Please note that we do NOT give out diplomas. UNC will mail your official diplomas later. The May 2019 Economics Graduation Ceremony is for Economics undergraduate majors/2nd majors who graduated in August/Dec 2018 or who plan to graduate in May/Aug/Dec 2019. Are tickets needed to attend?